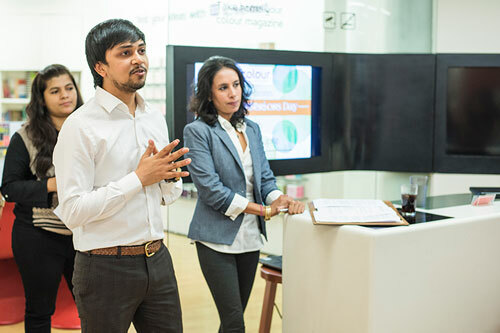 The well renowned paint company Asian Paints, on the occasion of ‘World Interiors Day’ celebrated it in collaboration with the famous Production Designer, Shruti Gupte. 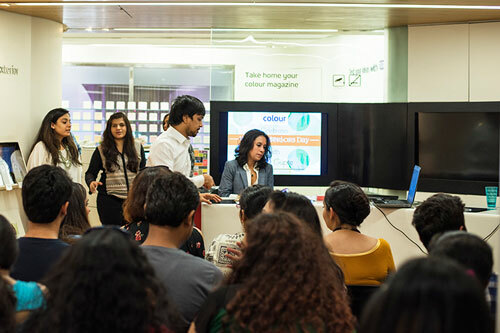 In this exclusive workshop, she showed the bloggers on how to draw inspiration from the various well-designed homes and office spaces that we see in popular films of Bollywood. Shruti has designed the sets of ‘Aisha’, ‘Taare Zameen Par’, ‘Khoobsurat’, ‘Lunch Box’ amongst others and this talented woman holds a profound knowledge of the style and sensibilities of the modern-day consumers. 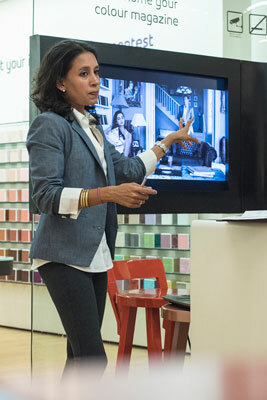 The workshop was aligned on the theme of ‘Intelligent & Inspirational Interiors, from Silver Screens to Your Home’. We all have been awed over the embellished and well adorned interiors we see in the movies be it the royal setting of ‘Khoobsurat’ or the chic modern designs in ‘Aisha’. 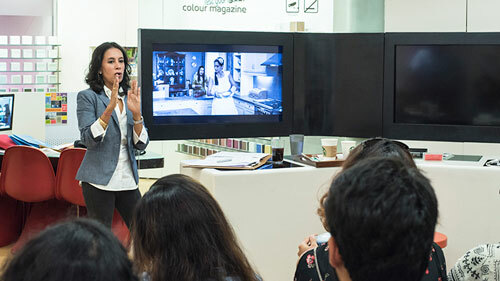 Asian Paints gave us the amazing opportunity to get an insight into the thought process that goes behind designing a set be it the color, furniture or the ambient lighting as showcased to us by Shruti Gupte. 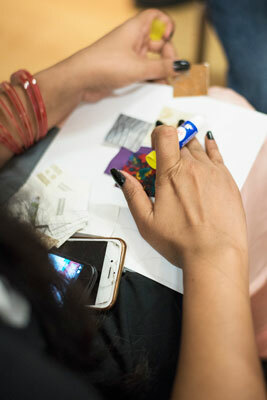 She described a few of her creations and how challenging it was for her to create such an environment. For instance, she had to include four shades of green to mix and match in the movie ‘Khoobsurat’ to create a regal experience for the viewers at large. She further narrated the colorful tastes of Sonam Kapoor in the movie and how it clashes with the elegant and royal taste of ‘Nirmala Devi’. She explained how a room is designed or defined on the basis of the person’s personality who is going to live or stay there. Every little thing that is added to the set like some fresh flowers, painting or the wallpaper used, defines the situation or the character. So, how do you build such décor and designs insipid from the silver screen? This is where Asian Paints comes to our rescue with their firsthand experience through interesting DIY activities. They help you to explore various ideas, inspirations and textures with the blend of colors to brighten your world the way you have dreamt all along. Thus, to experience the enthusiasm of personalized home décor and colors, reach out to your nearest Asian Paints store who would happily transform your dream home to reality.